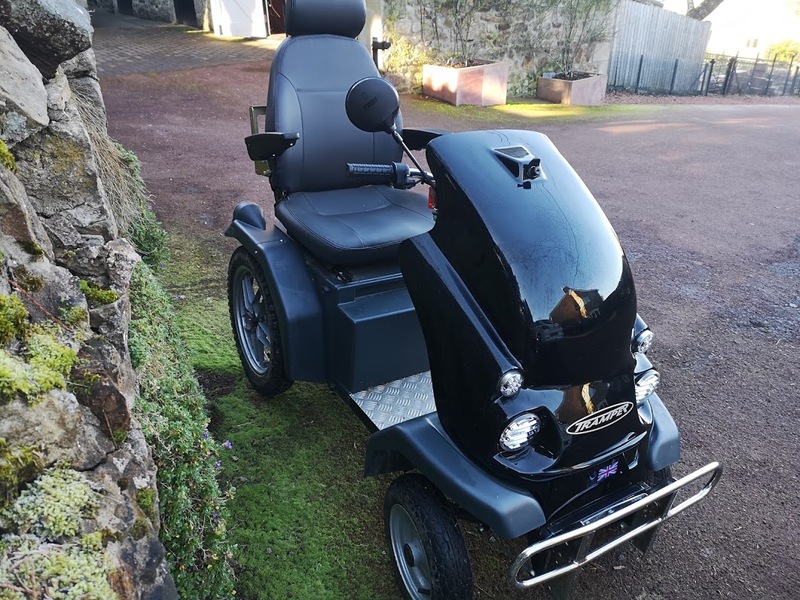 It was bought from new in June 2016 and has only been used on a few rambles organised by the Disabled Ramblers. It has a bull bar, auxiliary twist grip (for left or right-handed use), a rear mounted storage box, a stick holder and the electric charger. The Tramper is stored under cover and the original battery is always kept on charge. The tramper is black with some cosmetic marks. It’s in Corbridge Northumberland. and local delivery may be possible. This entry was posted on 09/03/2019 at 18:34 and is filed under For Sale & Wanted. You can follow any responses to this entry through the RSS 2.0 feed.